A burglar who used a stolen car and bank cards to buy a McDonald’s was caught after being identified on CCTV. Lee Neacy (38) of no fixed address targeted the house in Robert Avenue, Dogsthorpe, on June 7 last year. He was later linked to the crime after his DNA was found on a gardening glove he left behind at the scene. CCTV showed another woman – Claire Johnson (50) of Ulverston Close, Paston – driving the stolen car with Neacy as the front passenger. 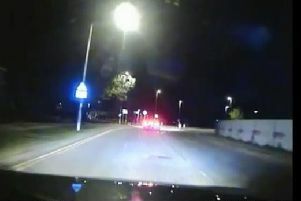 At 5.25am, further CCTV caught Neacy using the McDonald’s drive-through in Eye before driving away in the stolen Peugeot. Neacy was identified from this footage by officers. A third defendant - Faith Dovey (44) of Wayside Crescent, Hampton Vale - together with Johnson, used stolen bank cards belonging to a different victim and both defendants were again caught on CCTV. He was jailed for four years at Peterborough Crown Court last week (Tuesday, February 5). Neacy was also disqualified from driving for one year and 237 days. Both were sentenced at Peterborough Crown Court today (Tuesday, February 12). Dovey was handed a 12 month community order, a 15 day rehabilitation activity requirement and 80 hours of unpaid work. Johnson was also sentenced to a 12 month community order, and alongside this was ordered to complete a 25 day rehabilitation activity requirement.